We are a non-profit stichting called MixTree, founded in 2014. 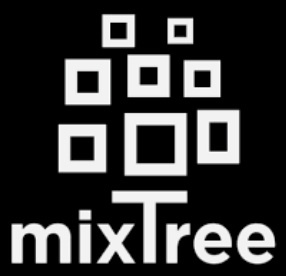 Why MixTree? Very simply, we wanted to find a name that truly represented the melting pot of Amsterdam, and our desire to create a place where artists and people of all cultures and backgrounds can freely mingle. It is a great mix that we want to see grow more and more and give birth to many wonderful ideas. MixTree is an ever-expanding constellation of events, ideas, and especially people and that is why, in the last two years, we have begun to organize English language courses as well (www.mixtreelang.nl), in an effort to integrate more and more people (expats from all over the world, refugees) into the vibrant and all-welcoming Amsterdam atmosphere. During the last three years, we have been operating in the OT301 building on Overtoom, organizing hundreds of cultural events (art exhibitions, concerts, theatre and poetry nights, special events devoted to exploring different cultural traditions, workshops, movie screenings, you-name-it), but time has come to explore new surroundings, to cross-pollinate new urban areas. We’re a group of people who are very passionate about music and art and the relationships that it can bring between people, and we are really happy to know that we have like-minded neighbours in the Lely building. Our doors are always open, so please come by and meet us, we are open to talk about any collaboration ideas, and to grow something really special here together. In addition to regular events in the Lely cantina (with live stage) we are also excited at hosting and co-hosting events in the Aula, including ‘festival’ scenarios, where both spaces can run together, and also collaborating on any other projects throughout the building. Although we’re in the process of building the kitchen, bar and the live stage, we are already getting excited thinking about getting the ambience nice and cosy, and then hosting some really unique, heartfelt, cultural music and art experiences. We want to support local and international artists and music, and to provide a really cool place to just hang out and listen to great music; we all have our places in Amsterdam which we keep going back to for that, and we would really love for this to become one of those.